The goal of business intelligence (BI) is to thoughtfully and purposefully collect and analyze past information to support an organization and make better decisions about it. As the new year approaches, 2019 business intelligence trends are creating a buzz. Even though the reason why companies engage in business intelligence remains relatively consistent from year to year, the ways those establishments go about it differ over time. Here are six business intelligence trends likely to play out in 2019. Artificial intelligence (AI) is already starting to take off, and analysts believe that if companies have not already begun adopting it, they risk falling further behind in 2019. Research shows 38 percent of businesses have already implemented AI in some form, and an even larger percentage of businesses are evaluating the technology’s worthiness and doing proofs-of-concept for AI. Artificial intelligence platforms can evaluate data inputs faster than humans can, plus uncover notable things people may miss without relying on technology. Some types of AI could provide information directly from customers in streamlined ways. For example, a 2016 poll found 80 percent of companies were already using chatbots or wanted to do so by 2020. Businesses could glean valuable things from chatbots, particularly by paying attention to the words people use and the sentiments expressed. These statistics illustrate how AI is not a fad. Businesses that wait too long to deploy it will be forced to try and catch up later. Business intelligence doesn’t only mean learning how to make improvements that support a company’s operations. There is a growing emphasis on using data for positive social change, and especially doing so collaboratively through so-called “data commonwealths.” By pooling efforts across organizations, it’s possible to maximize labor outputs and access to data that could help develop new ideas. Although it’s probable that working with data together for altruistic reasons will become prominent in 2019, some companies have been focusing on it for a while. In 2013, MasterCard created an independent subsidiary dedicated to data applications for social good. It’s wise for companies to begin evaluating how data collaboration could fit into their corporate social responsibility plans. Doing that could result in progress that extends further than business profits. For example, research indicates millennials prefer to work at companies that give back. So, companies may be able to attract even more talented workers while finding out about how business intelligence relates to social improvements. The results from a poll of more than 2,600 respondents associated with business intelligence found that those individuals rated data governance as something that has above-average importance in their work now and would through 2019. More specifically, they gave it an overall rating of 6.2 out of 10, and the emphasis placed on it went up in particular industries, such as banking and telecommunications. Data governance is crucial for any enterprise that hopes to effectively learn valuable things through business intelligence efforts. If the data collected contains duplicate or inaccurate information, the poor quality could cause a lack of confidence in company leaders, making a focus on business intelligence no longer worthwhile. Also, with the General Data Protection Regulation (GDPR) now in effect in the European Union and a similar regulation coming into effect in California in 2020, it’s more important than ever for companies to ensure they do not overlook data governance and can rest assured they are in compliance with all applicable laws. Statistics show that businesses with fewer than 100 employees had the highest adoption rate of BI in 2018. That finding means company representatives should not assume that a small size makes BI applications irrelevant. And using BI at a smaller organization can increase the feeling of ownership that each member of a team has towards progress at an organization. The trend of BI software throughout smaller organizations should continue in 2019, especially as a growing number of providers make their offerings increasingly accessible and affordable. Even enterprises on shoestring budgets, like startup companies, can fit them into their budgets. 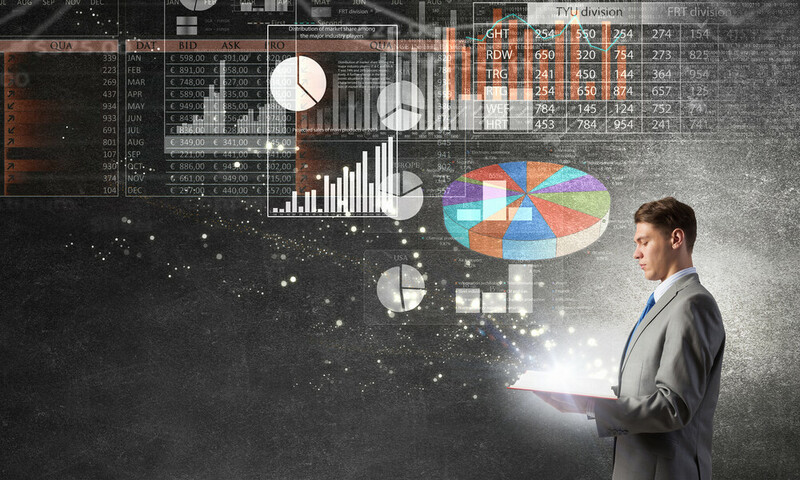 Self-service BI interfaces may make it so that some companies do not need to bring data scientists on their team right away to take deep dives into analytics. However, a study of business leaders in the United Kingdom shows that 80 percent of respondents plan to hire data scientists or get data consultations next year. However, a separate study from Gartner sheds light on the prominence of self-service BI interfaces. It predicts that such software will produce more analysis information than data scientists by 2019. The research also revealed that companies consider BI as something that differentiates them in the marketplace and helps promote a data-driven culture in organizations. If companies have not already started to use BI, self-service software could be a smart place to start. However, before investing in such tools, businesses must evaluate what they hope to learn from BI and how such insights fit into the company’s overall business operations. Conferences, including San Francisco’s Data Visualization Summit, will highlight data storytelling in 2019, and that’s in addition to events like the Tapestry Conference that just had its sixth-annual gathering in November 2018 and primarily explores how to interpret data through the principles of storytelling. Data storytelling will remain essential through 2019 because of the way it adds vital context to statistics. After all, even the most advanced business intelligence platforms still need people who are skilled in data literacy to interpret figures and translate them into meaningful takeaways for businesses and their stakeholders. In other words, the stories told can answer the “So what?” question that business leaders understandably have when looking at information. Many people can’t see the big picture when staring at spreadsheets full of numbers or detailed bar graphs. But pulling relevant stories from data could make the insights more useful and applicable to businesses of all types. These trends should become ever more apparent as 2018 winds down and 2019 arrives. That means it’s not too early for businesses to think proactively about how to capitalize on these 2019 business intelligence trends in their establishments and adjust their operations accordingly.